Kensington Palace is a royal residence set in Kensington Gardens, in the Royal Borough of Kensington and Chelsea in London, England. It has been a residence of the British Royal Family since the 17th century, and is presently the official London residence of the Duke and Duchess of Cambridge, Prince Harry, the Duke and Duchess of Gloucester, the Duke and Duchess of Kent, and Prince and Princess Michael of Kent. The Kensington Palace State Rooms underwent a two-year, £12 million ($19 million) renovation, underwritten with contributions from the Heritage Lottery Fund as well as other public and private sources. 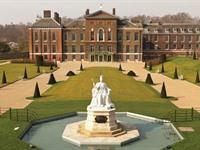 The re-opening of the palace occurred in time for the Diamond Jubilee of Queen Elizabeth II in 2012. Visitors now can choose four different routes throughout the palace that offer exhibits incorporating cutting-edge digital presentations, interactive experiences, and even audio sequences that bring to life the gatherings of gowns, antique furniture, and other memorabilia of notable residents of the palace including William and Mary in the Queen's State Apartments, the court of George I and II in the King's State Apartments and the life of Queen Victoria in the rooms most associated with her. The fourth exhibit displays selections of Queen Elizabeth's wardrobe in the 1950s, Princess Margaret from the 1960 and 70s and Diana, Princess of Wales in the 1980s during their fashion heyday. West End theatre is a common term for mainstream professional theatre staged in the large theatres of "Theatreland" in and near the West End of London.Along with New York City's Broadway theatre, West End theatre is usually considered to represent the highest level of commercial theatre in the English-speaking world. 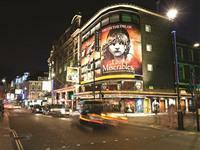 Seeing a West End show is a common tourist activity in London. In 2013, ticket sales reached a record 14.5 million making West End the largest English speaking audience in the world.Famous screen actors frequently appear on the London stage.Helen Mirren received an award for her performance as the Queen on the West End stage, and then stated, "theatre is such an important part of British history and British culture". 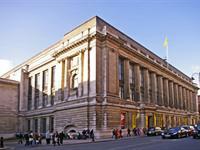 The Science Museum is a major museum on Exhibition Road in South Kensington, London. It was founded in 1857 and today is one of the city's major tourist attractions, attracting 3.3 million visitors annually. Like other publicly funded national museums in the United Kingdom, the Science Museum does not charge visitors for admission. Temporary exhibitions, however, may incur an admission fee. It is part of the Science Museum Group, having merged with the Museum of Science and Industry in Manchester in 2012.The Science Museum now holds a collection of over 300,000 items, including such famous items as Stephenson's Rocket, Puffing Billy (the oldest surviving steam locomotive), the first jet engine, a reconstruction of Francis Crick and James Watson's model of DNA, some of the earliest remaining steam engines (Including an example of a Newcomen steam engine, the worlds first steam engine), a working example of Charles Babbage's Difference engine, the first prototype of the 10,000-year Clock of the Long Now, and documentation of the first typewriter. It also contains hundreds of interactive exhibits.